When Buying or Selling a property in Portugal we would always advise you to seek legal advice, although the law does not state that it is mandatory when it comes to the purchasing of property there are lots of licences that need checking, it’s mandatory that all the property documents are up to date and that any alterations that have been made to the property are already registered with the municipality. It is now mandatory for properties to have a habitation licence if you are planning to live in or rent out the property, In Lisbon it is very common that properties are converted from retail to habitation due to many old buildings in the centre having shops and offices within them, it is important to check that this alteration is registered and approved by the municipality before purchase. If buying a renovation or off plan property then a lawyer is a must, there are many documents that need to be checked and it is important that the work set out in the renovation or building process is approved and the timescale given to you matches the timescale that is registered with the municipality. Here at PortugalHomes.com we have listened to our clients over the years to find out what they are looking for in a law firm, one thing we all love about Portugal is the laid back way of life and the relaxed feeling that comes over you when here, the people are friendly, helpful and speak excellent English allowing you to feel relaxed and safe in the country, however this is not a trait anybody seems to want from their lawyer, yes obviously you want the friendly and helpful side but not the laidback and relaxed part that we fall in love with when here. With this in mind and after listening to our clients feedback we would recommend you find a law firm that has previous experience dealing with international clients, they are usually very efficient and answer emails and questions in a timely manner, all lawyers here are obviously trained in the same way and pass the same exams however we have found that firms who deal with international clients on a daily basis are much more efficient and complete the process much quicker than lawyers who work mainly in the Portuguese market. The market in central Lisbon at the moment is very buoyant and once you take a property from the market at reservation it is important to sign promissory at the earliest possible opportunity to avoid delays and losing the property. 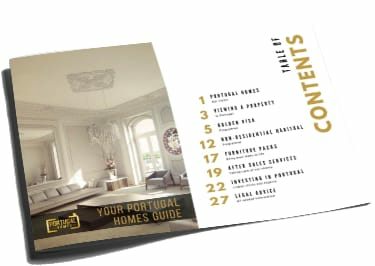 Here at PortugalHomes.com we are happy to assist you and your lawyer with anything they may need, when listing a property, we request many documents from the seller to make the process as quick as possible for you. For further information about the legal process and to receive free advice from a Legal Property Expert please fill out the form below and they will contact you shortly.